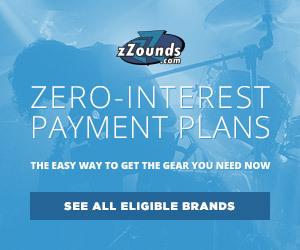 If money were no object, what is one piece of gear you’d buy? 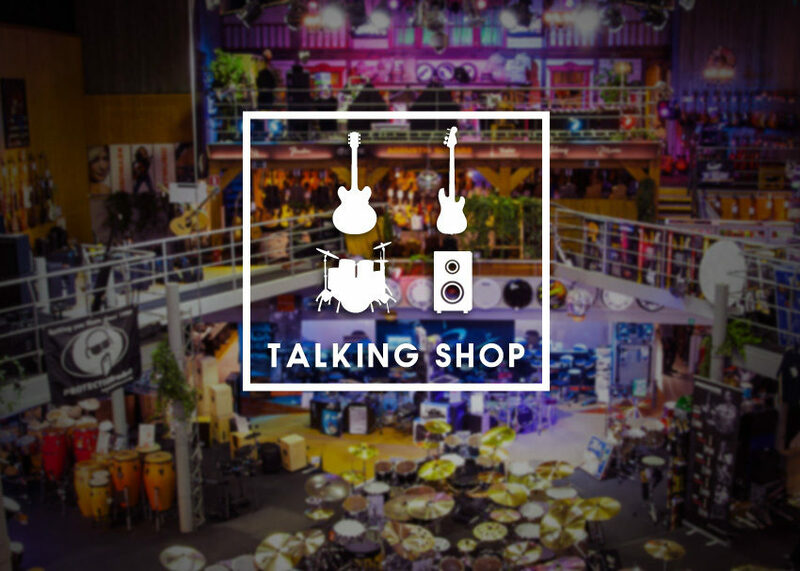 This is the question we asked for the first installment of Talking Shop, the series in which we ask zZounds staffers questions about gear and all things music. Check out our team’s answers below, and feel free to comment on what your own dream piece of gear would be in our comments section! These years for the P Bass were magic. The neck carve is perfect. The weight is perfect. The iteration of the ’60s P Bass pickup following the 1958 raised “A” pole piece is smooth, balanced, and just HUMONGOUS sounding. A good number of signature Ps have been modeled off of these years for good reason. Actually, whatever that reason was/ is, simply put, those years were magic. 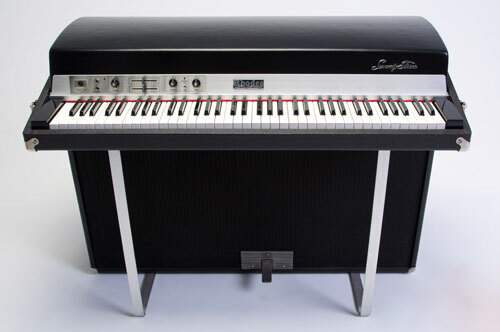 If money were no object — and space constraints were non-existent — I’d totally need to have a vintage Fender Rhodes electric piano! Now, I’m the first to admit that the Rhodes isn’t the most practical gigging instrument. It’s an unwieldy beast in a heavy wood case packed with delicate electromechanical parts. And that’s just the keyboard itself. There’s also the giant speaker cabinet and power amp that the keyboard sits on (very important for blasting yourself in the knees as you play.) Between the piano top and the speaker bottom, you’re looking at over 200 pounds. That’s a lot to carry around, especially for an instrument with the word “suitcase” in the name. But that’s what you had to do, if you were a keyboardist 50 years ago. These days, we have it a little easier. My go-to gigging board only weighs about 10 pounds, and I can cook up any sound I want with software instruments like Keyscape and Komplete. But when I’m writing, my go-to sounds are classic Rhodes and Wurlitzer electric pianos, with those smooth, bell-like tones with a little bit of edge and bite, and plenty of sweet sustain. Someday, I’m going to own a Fender Rhodes suitcase piano. And it will probably never leave my house. 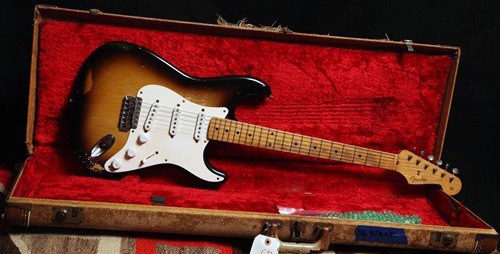 Because I’m such a vintage guitar nerd, I’d love to have a real-deal 1956 Fender Stratocaster. My first guitar was a Stratocaster, so I have this emotional attachment to them. I’m very comfortable playing them, and they look like something that could only be created in the 1950s. If you were to ask someone to draw an electric guitar on a piece of paper, I’d imagine that person would give you the shape of a Stratocaster. At that point, it’s not only a great instrument, but a great piece of American history. 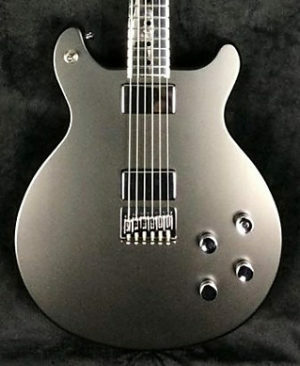 If money was no object, I’d love to own a custom Electrical Guitar Company guitar. I’ve always loved Kevin Burkett’s work and have played his guitars at different shops and at NAMM, but have never had it in me (the will or the money) to fork over the $3,000+ for a custom EGC. Recently, Kevin has been building bolt-on aluminum necks in various scale lengths that you can attach to the body of your choice. That’s definitely the more affordable way to attain the aluminum neck sound and feel, but it isn’t quite the same as a real EGC guitar. 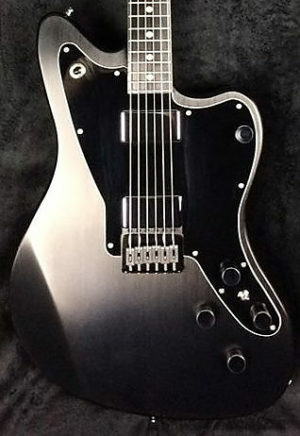 If I had the money, I’d probably pick up an EGC Standard, which kind of resembles a double-cut Les Paul — but with a thru aluminum neck and aluminum body — or an EGC Series Five, which has a similar construction, but an offset shape similar to a Jazzmaster. I wasn’t alive for them, but the late ’70s seemed like a crazy time for electric guitars. Fender and Gibson were still in the dog days of ownership under CBS and Norlin (respectively) and were putting out some oddbird models and generally in a lull. Meanwhile, across the Pacific, a host of Japanese companies like Ibanez, Yamaha, Aria and Tokai were making expertly crafted guitars that rivaled their American counterparts in quality. And OK, let’s be honest, they took a little too much liberty with their likenesses, as these makers would later get slapped with lawsuits. The Yamaha SG-2000 shares initials with an American-made double-cutaway, but, in my opinion is less of a knockoff and more of a mashup. First off, its symmetrical horns offer a different profile from the Gibson SG altogether and its body is THICC, more like a Les Paul. Seeing that everyone from Santana to Bob Marley to Chris Poland (formerly of Megadeth) have used them, it’s definitely a versatile beast. 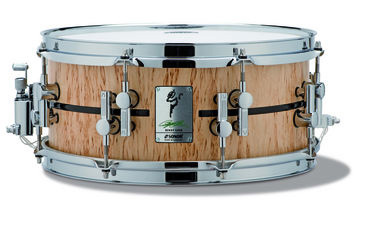 The best snare I ever recorded was the Sonor Benny Greb signature Beech wood snare drum. Incredibly versatile in tuning and with a “crack” to die for, the Benny Greb signature would be the mainstay in my studio if money were no object. I’ve always been the kind of guitar player that no matter the new, flashy axes that come out year after year, I’ll always go back to the Fender Telecaster. If money were no object I would love to have a real, vintage Fender Esquire or Broadcaster, which was the first solid-body guitar sold by Fender during the original run in 1950. After a lawsuit by Gretsch Guitars, the name would be changed to the Fender Telecaster. 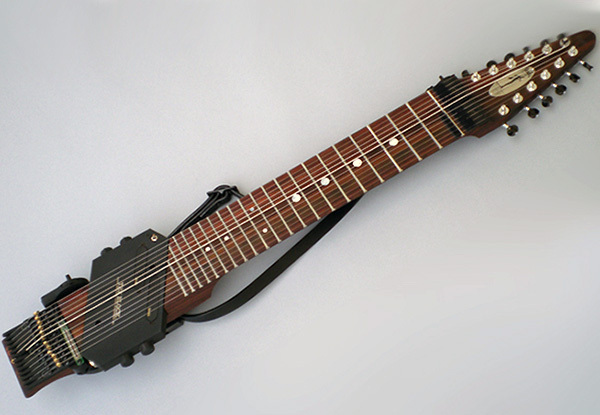 If money were no object, I’d make no bones about lusting for this instrument: a fretless Chapman Stick. A Chapman Stick, for those who don’t know, is one long fretted instrument that looks like the mutated lovechild of an electric bass, electric guitar and acoustic guitar. And like any inbreeding, limbs are bound to be missing (rarely do you see body cutaways or commonly expected headstocks/tuners) and DNA splices can in fact create something both horrific, yet somewhat endearing/intriguing (we do know its musical parents, in the end). Now, if I can get beyond playing something that looks so needlessly phallic, I can picture myself literally playing a huge octave range that can encompass bass lines, rhythm guitar, and arpeggiating acoustic melodies all at once. But, then again, my other lust — the decidedly apartment-unfriendly — Alternate Mode malletKat can do the same thing without the endless navel-gazing. Decisions, decisions. There are many other guitars and body shapes I like, but a Les Paul is just a constant, tried-and-true workhorse that I always go for. I predominately play a lot of heavy, distorted music and a good Les Paul is just like a sledgehammer: It not only sounds powerful, but it feels like it when you play. I prefer the boxier shape of the custom, and having the thicker, heftier body slung on my shoulder. 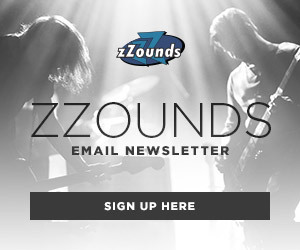 If I’m going to play a Les Paul why make it thin and light? Normally I’m somewhat off-put by gold hardware, but against the background of the dark red finish and subtle wood grain showing through, and aged creme binding, It works for me. If you ask me, all guitars should be nitro finished, and after a few decades, the wine red color fades out into a dark burgundy color akin to that of a nice, mid-priced glass of merlot that I get when I go to dinner with my parents so they think I have my life together. As far as pickups, the standard Gibson PAF of 490R/498T does pretty well, but my all time favorite would be a Seymour Duncan JB in the bridge. Invented in the ’70s by John Lazelle, the “Blaster Beam” is a long metal frame with strings and positionable pickups that produces harmonically complex, low-pitched and white-noise-like sounds. Used sometimes in sci-fi film and TV soundtracks, such as Star Trek and Star Wars. I’ve always wanted to get an original 1987 Marshall Jubilee ever since I got to hear one in person back when I was in high school. 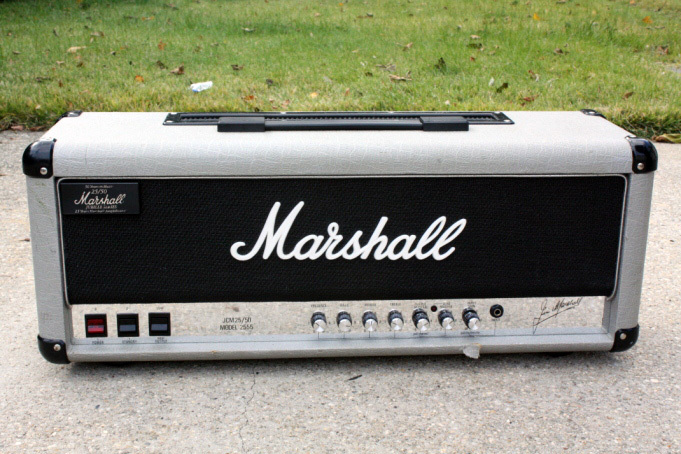 A buddy of mine bought a Jubilee half stack back in the late ’90s, and I was fortunate enough to play it a few times. He even let me borrow it for a studio session with one of my old bands (Thanks again, Chris!). To my young, unassuming ears, this thing sounded god-like. From the tight and crunchy (yet still incredibly clear) overdrive, to that angry, snarling midrange, this amp checked off every box my 90s punk/alternative tastes required in an amp. I’ve played all kinds of amps since then, but there’s a certain nostalgia I feel for that amp that isn’t going anywhere anytime soon. How about a circa 1960-1961 Gibson ES-335 in sunburst with the slim-taper neck and Patent Applied For humbucking pickups? or even a circa 1962-1963 Gretsch Country Gentleman?